Santa Barbara Chocolate Bulk White Chocolate is made using Pure Pressed Prime Grade AA Cocoa Butter, the highest quality cocoa butter available on the market. This level of purity is not common in the chocolate industry due to the manufacturing cost. Cocoa butter is a pale-yellow, edible cacao fat obtained from cocoa beans. The butter has a mild chocolate flavor and aroma. It is most commonly used in the manufacture of high quality chocolate confections, pharmaceuticals, and cosmetics. Given the fat stability and melting characteristics, cocoa butter is fundamental in confectionery work as it remains solid at room temperature and melts just below body temperature. Cocoa Butter is superior to shea butter. Shea butter comes from arid regions and is extracted from a scrubby bush using chemicals while cocoa butter comes from the rainforest and is extracted using cold process pressing. Cocoa butter is safe for consumption and is a high quality fat that is considered a healthy fat in cooking and chocolate making. Pure cocoa butter is the secret ingredient in gourmet white chocolate and this is why real white chocolate tastes rich. Santa Barbara Chocolate sells real white chocolate made using cocoa butter. 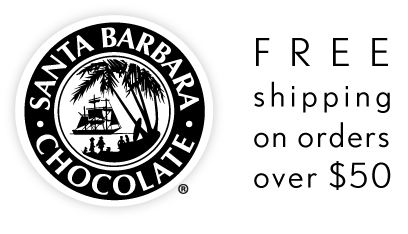 Santa Barbara Chocolate Bulk White Chips are made with Pure Pressed Prime Grade AA Cocoa Butter, the highest quality cocoa butter available on the market. This level of purity is not common in the chocolate industry due to the manufacturing cost. Cocoa butter also known as cacao butter is a pale-yellow, edible cacao fat obtained from cocoa beans. The butter has a mild chocolate flavor and aroma. It is most commonly used in the manufacture of high quality chocolate confections, pharmaceuticals, and cosmetics. Given the stability and melting characteristics, cocoa butter is fundamental in confectionery work as it remains brittle at room temperature and melts just below body temperature. Cocoa Butter is superior to shea butter. Shea butter comes from arid regions and is extracted from a scrubby bush using chemicals while cocoa butter comes from the rainforest and is extracted using cold pressing. Cocoa butter is safe for consumption and is a high quality fat that is considered a healthy fat in cooking and chocolate making. Pure cocoa butter is the secret ingredient in our white baking chips and this is why real white chips taste rich. Santa Barbara Chocolate sells only real white baking cocoa products. When people claim that white chocolate isn't real chocolate, they fail to realize that white chocolate has cocoa butter which comes directly from the cacao pod (a tropical tree fruit). Cacao trees grow fruit when they are between the ages of six and eight. White chocolate is made with cocoa butter and is a natural chocolate product. Dark chocolate is made of cocoa solids including cocoa butter and cocoa fiber, emulsifiers, and flavorings such as vanilla. White chocolate just swaps out cocoa fiber cocoa solids for a combination of cocoa butter and milk. That means that white chocolate has a significant amount of cocoa butter in it and therefore contains cocoa solids and technically is a real chocolate product. Cocoa fiber solids contain the bitter, tannic and berry flavors that are associated with dark chocolate. This is why white chocolate doesn't have those bitter flavors. Rather, white chocolate has subtle, nuanced flavors from the cocoa butter. Additionally, white chocolate has a velvety, creamy texture that dark chocolate seldom has. Organic dark chocolate due to the fiber content has dark, bitter notes, while white chocolate has the opposite: delicate, floral and aromatic cocoa butter qualities with a smooth melt and round tasting experience. White chocolate is also special because of its baking versatility. It is easily paired with other flavors, herbs and flowers to create wonderful and complex flavor profiles. Melting white chocolate is more tricky than dark chocolate because of the high concentration of cocoa butter and milk. If you are not careful, white chocolate can burn easily during melting. Melt white chocolate with indirect heat, stirring constantly making sure it doesn't burn or get above 110F. Around 115F white chocolate will start to break down and the milk component will thicken quickly turning the mixture to glue. Always make sure your white chocolate is protected from moisture as any moisture that is spilled into melting white chocolate will cause it to seize (harden up), unless of course you add enough moisture to mix into the white chocolate so that it homogenizes and it is made into a white chocolate ganache. White chocolate is ideal to use in flavoring truffles and ganache because in a white chocolate recipe the predominant flavor will be vanilla chocolate. As a result of this mild flavor it is easy to add in fruit jams or freeze dried fruit powders to flavor. Liquor like Limoncello goes very well with white chocolate as does coffee or tea. The basics of making a white chocolate ganache are to ensure a 1:2 mixture of 1 part cream: 2 parts white chocolate. Heat the cream to a slight boil and pour over the white chocolate. Mix thoroughly and quickly so that all the chocolate is melted and smooth. This is when you can add flavorings such as Limoncello. Chill to set up your homemade white chocolate recipe and use it as a base for truffles or pastry filling or even cake frosting. Please look at our extensive chocolate recipe book to find several gourmet white chocolate recipes that we have tested in our chocolate factory. The Santa Barbara Chocolate range of white baking chips work perfectly in confectionery and pastry recipes including gourmet drinks like white cocoa. The balanced flavor due to expert blending of subtle sweetness from organic cane sugar, natural cacao butter (cocoa butter) and milk offer a tasting experience that will elevate your gourmet desserts to a new experience. Have you tried making white cocoa? White cocoa is an exotic drink that will impress as a stand alone dessert. Keep in mind cacao butter which is an important ingredient of our white baking chips has antioxidants just like other dark cacao varieties. To make white cocoa, mix 2 oz white baking chips with 4 oz milk. Heat the mix on low stirring and whisking to reach a frothy thick drink. Sip the hot drink as a milk-vanilla dessert or mix in creative additions like peppermint oil, spices like turmeric and cardamom or even add a splash of liqueur. Some chefs even add a few drops of oil based natural color like red or pureed raspberry to make a new and innovative ruby drink. White cocoa is wonderful mixed with a strong coffee like espresso. When melting white baking chips, melt at a low temperature or indirect heat source and stir frequently. High heat can burn milk or cocoa butter ingredients and cause baking chips to become thick. In professional kitchens, pastry chefs melt white baking chips at a temperature less than 110F. It is okay to use high heat in baking applications, but if you want a smooth soft liquid, use a low temperature. White Chocolate Baking Chips made by Santa Barbara Chocolate are real ingredients you can feel safe eating. Because of our focus on natural, healthy, GMO Free ingredients you'll discover our cocoa products stand out ahead of all others in clean ingredients. If you read our ingredients you'll see all natural cane sugar, whole milk, pure cocoa butter, GMO free emulsifier and natural vanilla. Our goal is for you to be a secure and confident long time customer who enjoys healthy eating, healthy baking and a happy family. Does White Baking Chocolate Contain Caffeine? White Cocoa does not contain caffeine because it is made from cocoa butter. Cocoa butter is not the dark part of the cacao seed. The dark part of the cacao seed is the cocoa fiber and this is where the caffeine and theobromine is concentrated. So if you are concerned about caffeine, Santa Barbara White Baking Chips are safe to eat.